Does the idea of family togetherness, where young children, teenagers and adults enjoy each others company and spend lots of time together seem idyllic though unrealistic? Most parents would love to have deep family relationships with their children, yet the reality is vastly different. Television, movies, computer games and so on are the norm for most family entertainment. Throw in a good dose of weekend sports and there doesn't seem to be much time for relationship building. While we may strive to achieve quality time with our children, one of the best ways to achieve this is simply to spend lots of time with them. That is, quantity time leads to quality time. Vacations, sports and other activities are good, but what about making a regular, weekly time of family togetherness? 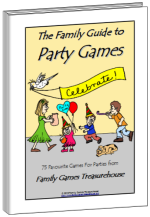 Family games nights can fill this role and can become an important way of building quality family togetherness. Our family tries to set aside every Wednesday night as a family games night. After the evening meal, we take an hour or so to play a game or two. 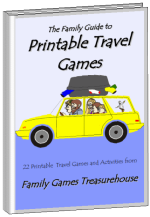 We play a variety of games, many new ones and some old favourites. 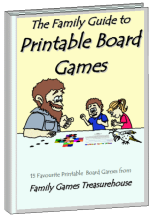 You can play commercial board games such as Monopoly® but there are hundreds of games you can play with only a deck of cards or a handful of dice. For example, a few weeks ago we played a simple dice game called Pig which only used one die (the plural of die is dice). Pig can be played by any number of players of any age. Each player throws the die as long as they want and adds the number of spots shown on each throw. The aim is to get to fifty points. Players can choose to stop at any time and keep their score, but a throw of One ("1") ends their turn and resets their score to zero for that round. Players' scores increase from round to round until one player finally gets to fifty points. 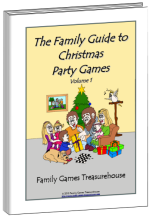 While other activities are good, family games have the advantage of being suitable for players of all ages and involving the whole family in the activity. 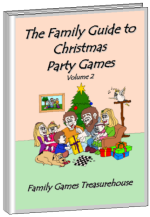 There is often much fun and merriment as a young child beats a teenager or adult. Along the way, children pick up life skills (such as counting and reading) and social skills (such as conversation, and being a generous winner/loser). Even better, they learn to be part of the family and enjoy each other's company. That's what family togetherness is all about.